We love marble. Sometimes though, contrast is what makes beautiful pieces really stand out. That’s definitely the case in the following list of crazy gorgeous spaces. 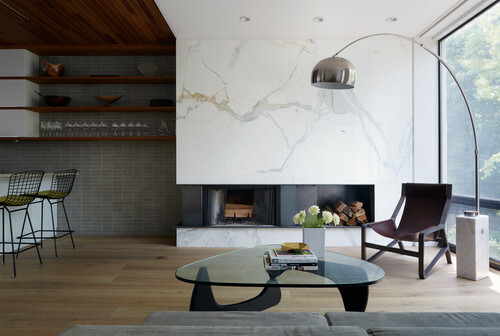 Each one incorporates marble without doing the whole “floor to ceiling” thing. Contrast is key to creating that texture we’ve been raving about all year. These next few interiors really prove the point. We’ve compiled a list of some of our favorite material combinations for interior design that are sure to stir up your inspiration. 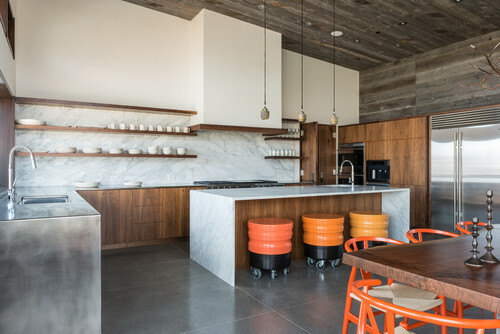 This Wyoming kitchen gets bonus points for the extra pop of color! 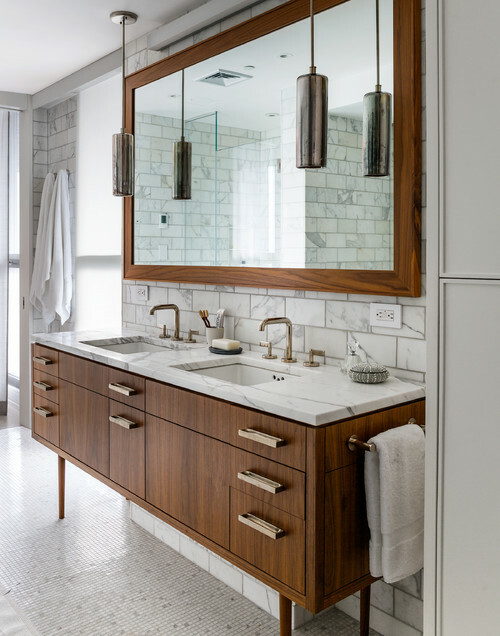 We love how the vertical grain of this vanity offsets the chunky marble tiles! 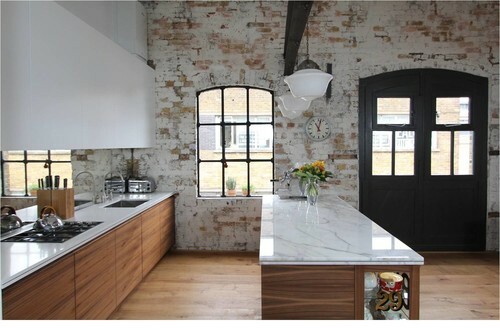 Bold windows and doors in a whitewashed brick wall are the focal point here, but the subtle marble counter really gives this kitchen a refined atmosphere. 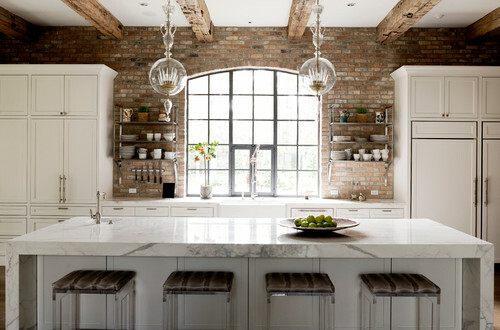 With a slightly darker brick and wood beams, white marble keeps the space light and airy. 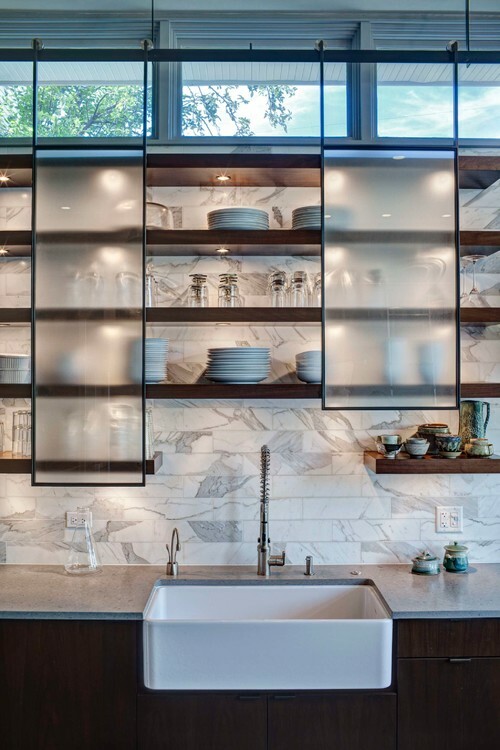 Seriously, why would you ever just have ‘cabinets’ when you could have these completely gorgeous sliding panes? When your fireplace could literally be a priceless abstract painting, it’s best to keep the rest simple. This glass coffee table does just that and still manages to add it’s own quirky style to the mix. What could be more fun than pairing nature’s patterns with the ones straight out of your imagination? 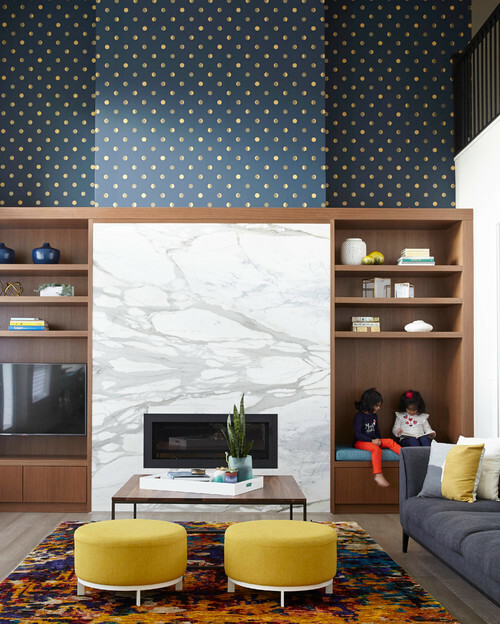 Marble takes on a whole new aspect next to these bold and whimsical wallpapers. Fun and bold, a classic white marble gets to play with color here. And who could resist metallic polka dots? 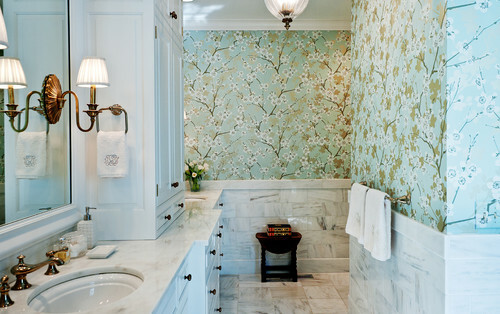 There’s something about subtle gleam of marble that takes this master bath from sweet to enchanting. 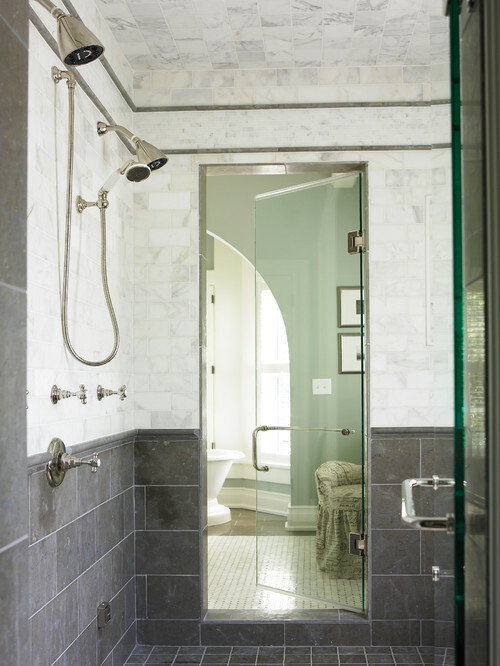 …like this large scale slate tile floor next to the delicate, tilted tile of this shower.